The application platform targets operational users in various verticals: from plant and warehouse managers, operation-, finance-, risk- and human-resource managers, mainly in small and medium-sized companies. Simon AI provides them with plug-and-play, end-to-end people and asset visibility solutions previously reserved for enterprise and project driven system integrators. According to Spiceworks 2019 State of IT report, small and medium-sized businesses (SMBs) are almost three times less likely to adopt IoT than enterprise companies, and this is not without reason. The complexity and cost of existing location and sensor-based solutions make them viable only for players with enterprise-level resources. As a result, the enterprise segment is the only space where IoT has proven itself able to drive business outcomes and transform organisations at scale. Small and medium-sized businesses as well as agile enterprise teams are left behind, lacking access to solutions that address the problems of inefficient workflows and insecure environments. Enterprise IoT Platforms and end-to-end solutions are out of their reach and building their own budget solutions based on open-source platforms requires expertise and resources they often lack. Kontakt.io announced Simon AI, the next-generation location and sensor analytics for operational environments. 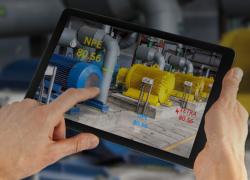 By combining sensors, RTLS (Real-time Location Systems,) and workflows, the solution provides operational users with contextual and workflow-specific insights and AI-driven recommendations for better asset management, people productivity, and workplace security. “Simplifying IoT means bringing down costs, speeding up installations, and delivering location and sensor insights to actual stakeholders, bypassing IT and data departments,” says Philipp von Gilsa, the CEO at Kontakt.io. 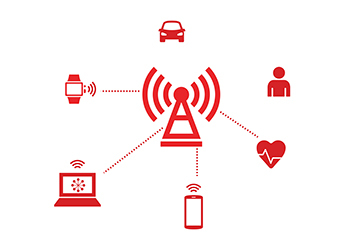 “As a result, IoT finally becomes available and ROI-positive for SMB business users. As an end-to-end solution, Simon AI has all the components needed, from sensor and location tags to the final application, it works out-of-the-box, and requires no development skills. This enables operational users to quickly conduct risk-free proofs of concept and get meaningful results within weeks of deployment.